Whether you are a digital newcomer or a fully-digital practice, TRIOS® and Henry Schein Dental will enable you to do more and Go Beyond to deliver superior patient care. go beyond on your digital journey. 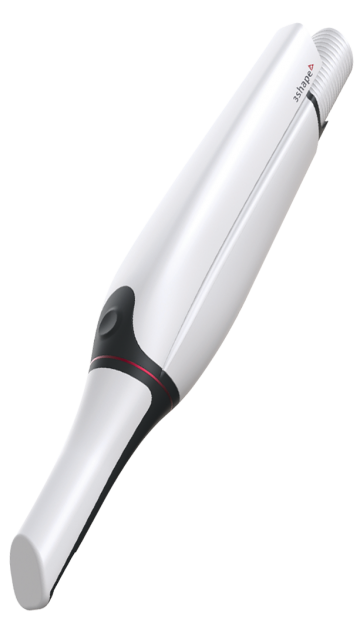 The most powerful 3Shape intraoral scanner to date. Instant-heat smart tips so you are always scan-ready. Scan 2-3 times as many patients per battery. Be equipped for success with new 3Shape TRIOS® innovations. Quickly removes unnecessary soft tissue as you scan. Long battery life and unrestricted movement around the patient. Extensive in-house production and patient excitement apps. New! TRIOS 4 aids in surface and interproximal caries detection. As a Henry Schein Dental customer, you will receive the training and support needed to grow your practice and deliver exceptional patient care. Our certified technicians will install, update, and test your software and equipment to ensure optimal performance. After installation, you will be partnered with your Technology Training Manager (TTM) to guide you through the remainder of your training program. we ensure your scanning success. See how innovative TRIOS® hardware and 3Shape's patient excitement apps can transform your treatment and case acceptance. Configure and equip your TRIOS® according to your needs and budget. Award-winning hardware at an entry-level price. Engaging software built to excite your patients. Innovative scanning tech plus caries detection aid. “Technology puts me at the forefront of dentistry in Alaska. Not many offices nationwide have... equipment such as a TRIOS® scanner." “The effect on my practice has been tremendous. We save time using TRIOS digital dentistry solutions. Time where doctors can be seeing other patients." Complete our form at the link below and one of our TRIOS® experts will contact you shortly!